Stefania’s engagement with the early childhood field internationally spans over 15 years. Previously an early childhood teacher in an International School in Rome (Italy) and a Montessori School in Perth (Western Australia), she is currently a Lecturer in Early Childhood Education in the School of Education, Curtin University (Perth, Western Australia). 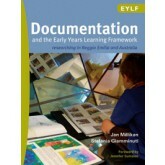 Stefania completed her PhD with Distinction at The University of Western Australia in 2009. She is the recipient of the 2010 Early Career Award of the Western Australian Institute for Educational Research and a recipient of the Early Childhood Australia Doctoral Thesis Award for 2010. A recipient of the Creswick Foundation Fellowship for 2006, Stefania spent six months engaging in PhD research in the world-renowned municipal infant-toddler centres and schools of the city of Reggio Emilia, Italy. She maintains strong reciprocal relationships with educators, atelieriste, pedagogiste, and other key protagonists in Reggio Emilia. Stefania holds an unyielding belief in the capabilities of very young children: her work speaks to those who believe in possibilities, and she advocates for the rights of children, educators, and families. Moving in the ‘third space’ of her diverse cultural and linguistic background, she lives close to the ocean in North Fremantle (WA) with her architect husband Andrea and their two-year-old daughter Nina – a far way from Rome, but always close.